The use of encrypted messages as a means of protecting classified information has been around for centuries. Codes, ciphers and complicated puzzles were made to confuse anyone who tried to break them and uncover their hidden messages. Even though cryptologists from around the world work hard to uncover the secrets of these messages, there are some codes that seem to have succeeded in their purpose and remain to be unsolvable. Here are some of the strangest codes and ciphers that might never be cracked. One of the strangest and scariest encrypted messages can be traced back to a book from 1539, which claimed that a man named Ludovico Spoletano managed to summon the Devil. When Ludovico summoned the Devil, he was instantly possessed and the Devil made him write out a message. The message is said to contain the handwriting of the Devil himself and even after numerous efforts to decode it, it has not been solved since the 16th century. Experts have noted similarities between the eerie alphabet in the message and the Amharic language, which is believed to be the language that was used in the Garden of Eden. Back in 1948, the body of a dead man was discovered in Somerton Beach, Australia. Nobody could identify the man, however, a strange message was found in the pocket of his pants. The message contained the phrase "Tamam Shud" printed on a small piece of paper. The paper appeared to be ripped out of a book, and the phrase was written in Persian, meaning "ended." 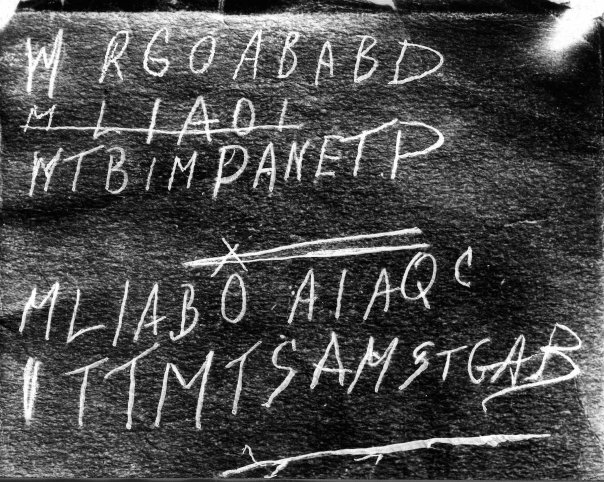 When the police discovered that the paper fragment came from an old book, they managed to track down the original copy and found a mysterious cipher written on the back which became known as the Tamam Shud Code. Even after 70 years, the handwritten message has never been cracked. Some theories claim that there are micro-letters hidden inside the large letters and that they reveal some classified military secrets. In the 1800s, Robert Morriss received a locked box from a man named Thomas Beale and was told to open it after ten years. After 23 years, Morriss opened it and found four letters which spoke of a buried treasure worth millions. The first letter described that the treasure was buried in Bedford County, Virginia while the other letters were written in code. Moriss did not know how to crack the codes and he gave the letter to James Ward, who only managed to solve the code of one letter and gave up. Ward published a pamphlet about the strange letters, hoping that others would crack the code and discover the location of the buried treasure.